Wizards Fireworks – The Grand Tournament of Spells, LEGOLAND Windsor, 23rd , 24th, 29th, 30th and 31st October and 6th November Wizards Wanted! The wizards are gathering from the four corners of the mystical earth in search of a new Great Elder. Bring your cloak and wand, when you join them as they conjure up magical potions and show off their majestic feathered friends in a birds of prey display. Use your creative skills and a little magic to create a masterpiece in our family building competition and enjoy entertainment from our magical wandering wizards. 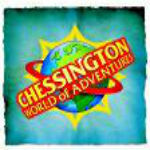 The gates at Chessington World of Adventures will creak open for Halloween Hocus Pocus from 22 nd October – 31 st October from 10.00am – 8.00pm to reveal plenty of spooky goings-on. Cackling witches, wicked goblins, giant pumpkins and spider webs will greet brave adventurers as they scream on hair-raising rollercoasters into the dark night and get up close and personal with the Zoo’s spiders, snakes, owls and cockroaches! Thorpe-Park What better way to spend the day than a action packed fun filled day at Thorpe Park!! Let us do all the organising and you just make sure your ready to go when our car arrives!! Weekday prices start from just £59 PP Sunday – Friday including your entry ticket, so no hanging around in the queue. 7th – 10th, 15th – 17th & 22nd – 31st October 2010 Open till late!! Fright Nights are back and even more terrifying than ever. A whole different Park after dark as you’re left at the mercy of the master manipulator, Jigsaw, as you brave the world’s most extreme horror package, SAW Alive and SAW – The Ride. With gates open until late, experience the thrills long into the dead of night as you pit your wits against the Park’s four other live action horror mazes: The Curse; Se7en; The Asylum; and Hellgate. Experience exhilarating rides in the dark and terrifying live action horror mazes including Jigsaw’s newest nerve shredding game, SAW Alive. Fright Nights’ attractions are not suitable for the faint hearted or the under 12’s.